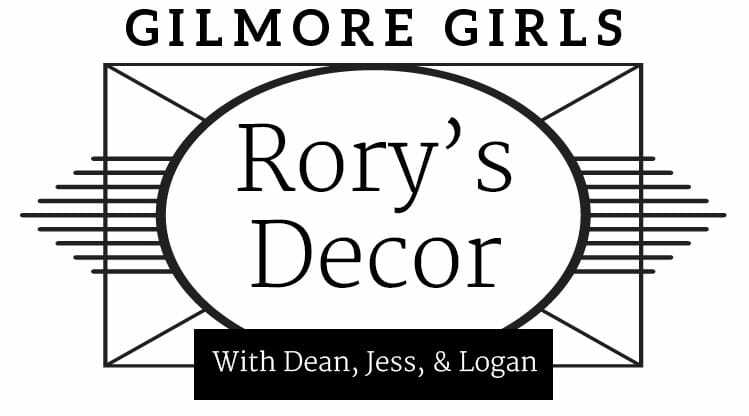 I’m doing something a bit different today, and if you’re a Gilmore Girls fan I hope you LOVE it! Even if you’ve never seen the show, I think you’ll be able to relate to the different home styles. You may even find something new for your house! Do you wish Rory would have married one of her boyfriends? Maybe you’re on team Dean, Jess, or my favorite, Logan. Whichever guy was your favorite, I think we’d all agree that her life AND decor would have taken unique paths depending on her choice. When the new Gilmore Girls episodes hit Netflix, we’ll finally find out what really happened. Until then, here’s how I think things would look with each guy. Rory & Dean’s home would be in good ‘ole Stars Hollow. Dean still works for Tom and his love of craftsmanship influences their furniture. Rory’s the editor of the Stars Hollow Gazette. Every week, Lorelei and Luke come over for movie night. Lane, Zac, and the twins make frequent appearances too. Dean is still infatuated with Rory and brings her fresh flowers every week. It’s a pleasant life, but I can’t help but think Rory is bored. Here’s some of the items Rory & Dean would have in their home. If any of them are perfect for you, the sources are available below each set of photos. The Donna Reed DVD was a wedding gift from Lorelei. She couldn’t resist! 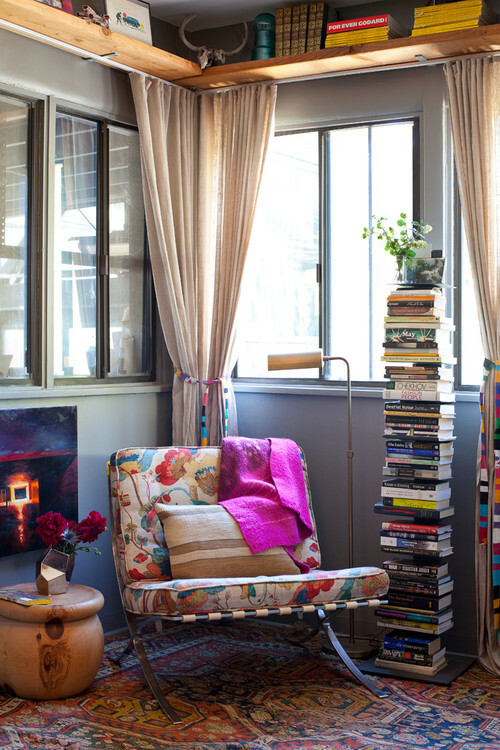 Rory & Jess love their converted warehouse loft in Brooklyn. The neighborhood is full of up-and-coming artists, musicians, and writers. Jess is working on his 3rd novel after the 2nd was picked up by a large publisher. Rory is a freelance writer with her own weekly column in the New York Times. 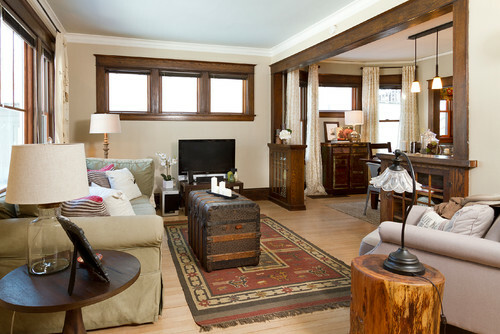 Their style is a blend of industrial and global eclectic. They’re always searching for one of a kind pieces of furniture and decor. Supporting neighborhood artists led to a wonderful art collection that they cherish. Rory definitely isn’t bored in this scenario, but she wishes Jess was more comfortable spending time with Lorelei and at Friday night dinners. And that her family loved him the way she does. The Rory & Jess style is getting closer to mine, so it was fun finding some products I can see in their space. After accepting instead of rejecting his proposal, Rory & Logan (go Team Logan!) spent a couple years in California enjoying the avocado tree in their backyard. When Rory started getting homesick for both the east coast and Lorelei, Logan decided it was time to start an NYC office. 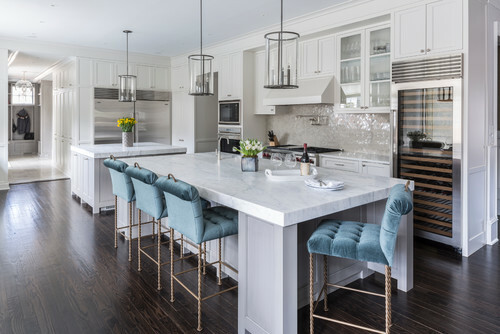 They bought a historic townhouse in the West Village, then added a grand kitchen for entertaining. Rory took over as managing editor of the online magazine and is using all of her experience from the Yale Daily News to make it a huge success. Even though they’re both busy, they make time to cook together several times a week and love hosting Lorelei and Luke at least one weekend a month. Rory’s not bored AND Logan fits in with the family! 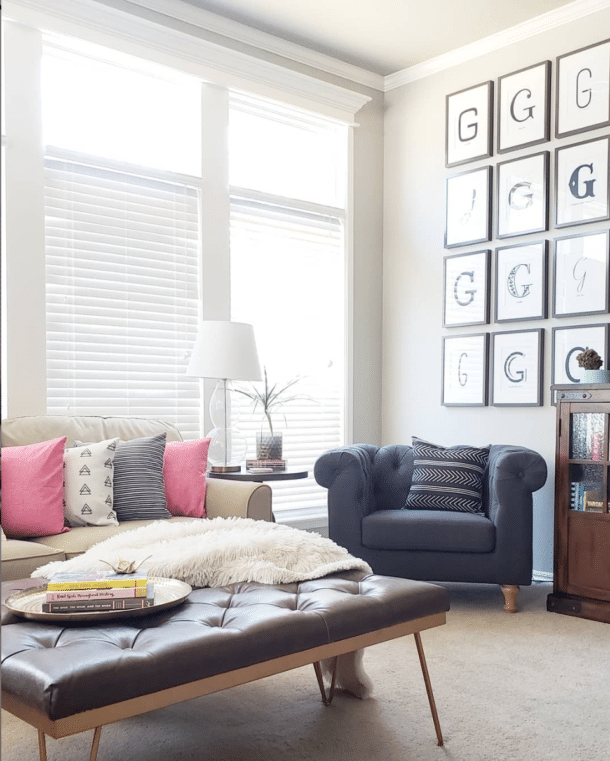 Their style has some traditional elements inspired by the Huntzberger and Gilmore estates, but they figured out how to blend traditional with modern for a fresh feel. 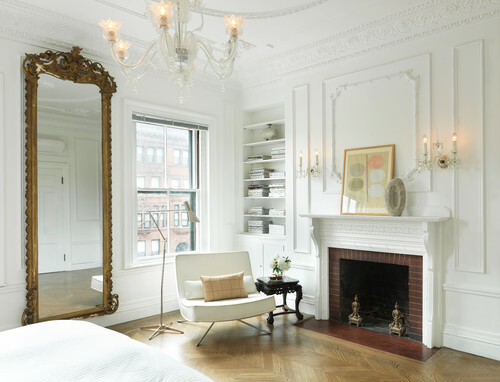 Luxury touches are all around, but anyone is welcome and comfortable in their home. Mementos from their international travel make great accent pieces. That’s my vision for how Rory’s home would turn out with each guy! Do you love any of their furniture for your home? I’ve been dreaming of a leather chesterfield-style couch like the one I picked out for Jess and Rory. 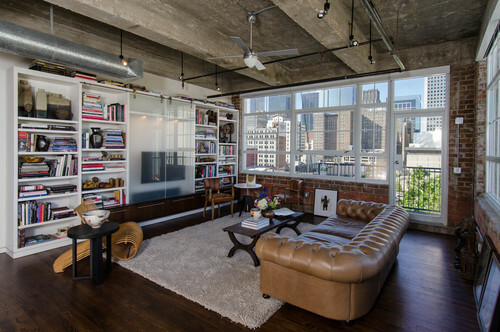 I think it would look amazing with a pair of the blue velvet chairs from Logan’s board! Maybe Santa can fit them down the chimney? Decor aside, how did I do projecting Rory’s life with each guy? If you enjoyed the post, I’d love you to share it with your Gilmore Girls loving friends on Facebook or Pinterest! Thank you! As much as I love Logan, I wouldn’t turn down the Jess loft option either! BTW, Joy Behar said on THE VIEW this morning that all the rumors of her leaving the show are untrue. Love your new logo too, Melissa! Thanks so much, Sarah! You definetely need to watch (all 7 seasons are on Netflix!). Some people are freaked out that there is SO MUCH dialog and it’s fast, but stick with it a few episodes and I know you’ll fall absolutely in love. This is too much fun!!! I LOVE IT! I have to say that although I lOVE Logan and Rory’s house and décor I think she would be too far away from Lorelei! I’m on team Dean! I always thought she deserved the kind of love and devotion, Dean was always willing to give to her. And after she had been able to experience life in college and with Jess and Logan, she would go back to her Star’s Hollow Roots and realize Dean was always there for her in ways Jess and Logan could never figure out. Oh My Gosh ! I loved this post!!!!! So fun. I need to do a Netflix binge watch before the new one starts. 🙂 Love them all. Thank you, Stephanie! I’m so glad all the seasons are on Netflix. I’m always watching, especially when working on ORC rooms! Watching the shows, I was always Team Logan – but seeing the different spaces, I’m leaning towards Team Jess! 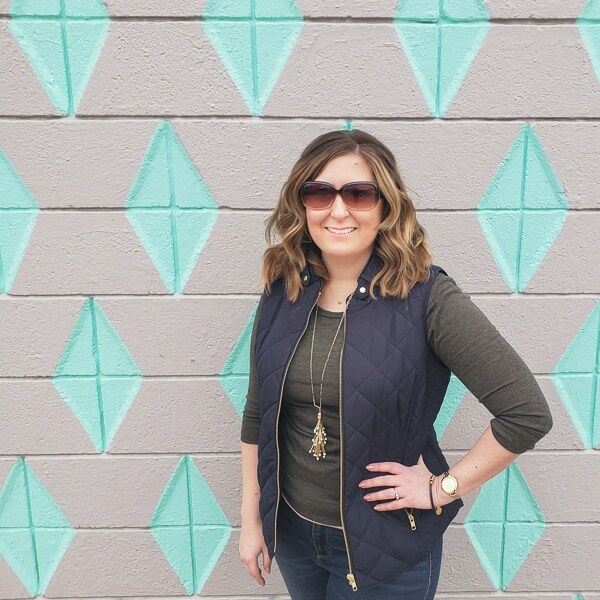 I think this was my favorite post from a blogger EVER! Wow! Thank you so much Diana! You just got my Monday off to a great start!